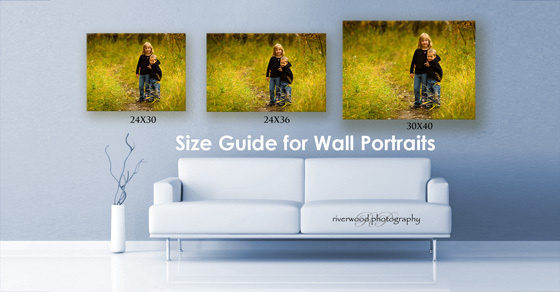 I thought I would share this image to help you see what the various sizes of wall portraits might look like once installed on a wall. I know of so many people who think that an 8×10 is a large print, but as you can see here it looks awfully small above a standard size couch. 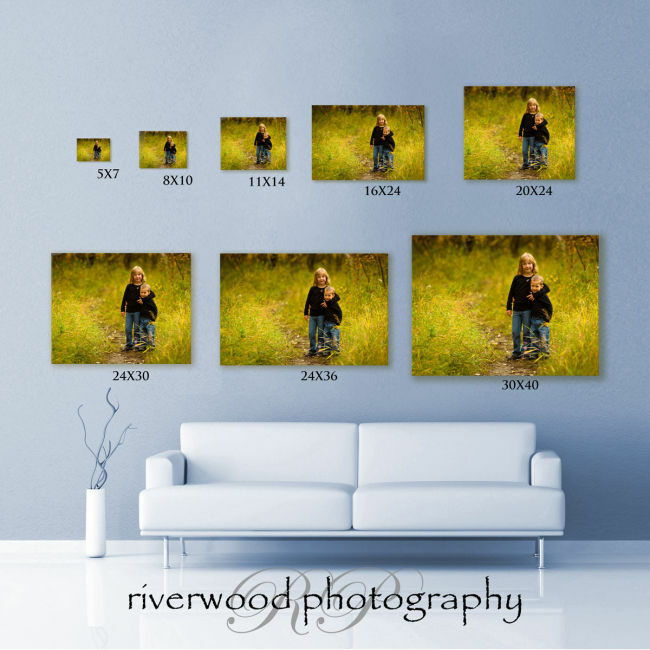 If you want to see what your own family portraits might look like in your own living room or above your fireplace then I can create a custom display for you. All I need is a snapshot of your living room and the actual length of something in the room. Please let me know how I can help? Please call Sean at 403-615-3708 today to book your summer or fall family photography session in the Calgary area.